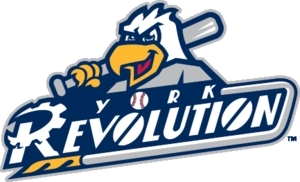 (November 5, 2018) — York Revolution officials and the former regional manager of the team’s hospitality partner have formed a new hospitality company based at PeoplesBank Park, the team announced today. The new company, Revolution Hospitality, has completed the purchase of concessions and catering equipment and Revolution team store merchandise from Legends Hospitality, the Revolution’s long-time partner at PeoplesBank Park, whom team officials praised for that partnership. Rob Wilson, who formerly managed Legends’ relationship with the team, has been named president and general manager of Revolution Hospitality. He called the company’s formation a tremendous opportunity for the ballpark and its guests. In addition to the Revolution’s 70 home games, Revolution Hospitality will manage catering for all rental contracts at PeoplesBank Park and plan the upgraded menu options for the ballpark’s new all-inclusive hospitality space, the 1741 Club presented by UPMC Pinnacle, which will open next spring.